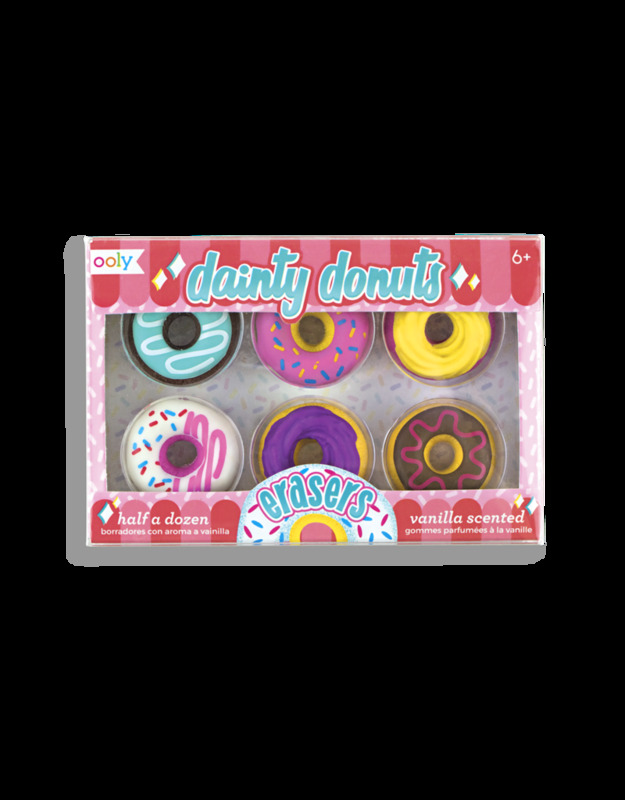 Sweetly scented donut erasers that smell better than the real thing! This eraser pack includes 6 vanilla scented donuts! Don't eat 'em - just erase your mistakes with 'em. Ages +6.